Every shop you go in, there are aisles packed with back to school essentials including stationery. Which brings me to Gracie's favourite stationery store, Smiggle. 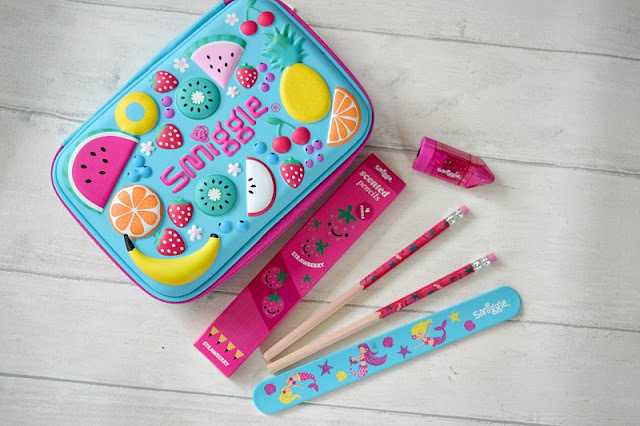 I first found Smiggle when invited to the opening of their Birmingham Bullring store and stocked up on lots of great stocking fillers for the kids. Since then whenever we travel to the Bullring, we have to go and have a look inside. Just a few weeks ago, they opened up a store in Coventry and so we have a great excuse to visit more often and just in time to stock up the school supplies! Gracie was sent a surprise selection of school supplies ready to go back to school in September and she was so pleased with everything they chose for her. 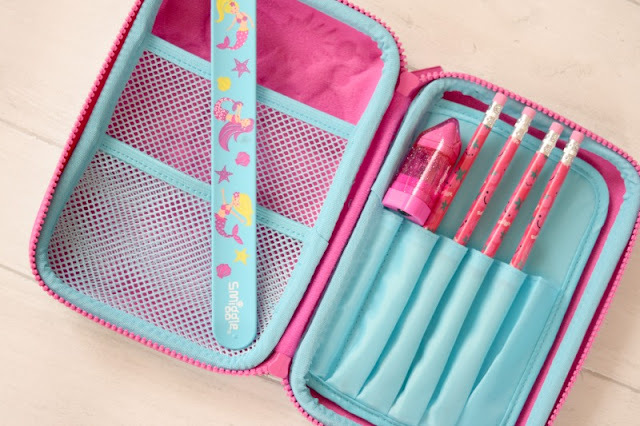 Inside her parcel she received a groovy hardtop pencil case £13 , a 4 pack of strawberry scented pencils £4.50, pencil sharpener/eraser 2in1 £2.75 and a times table mermaid snap band £3.50. She was so pleased with every single item. She loves the fruity pattern on the pencil case. 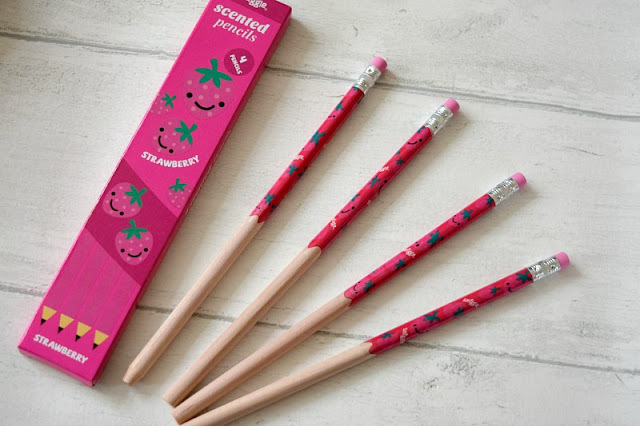 She loves the smell of the pencils, she previously had the chocolate scented pencils which she used for all of her homework last year. A girl couldn't write without special scented pencils. She finds the sharpener so easy to use thanks to it's shape, which is always a huge benefit when they are young, the built in eraser will come in very handy too. 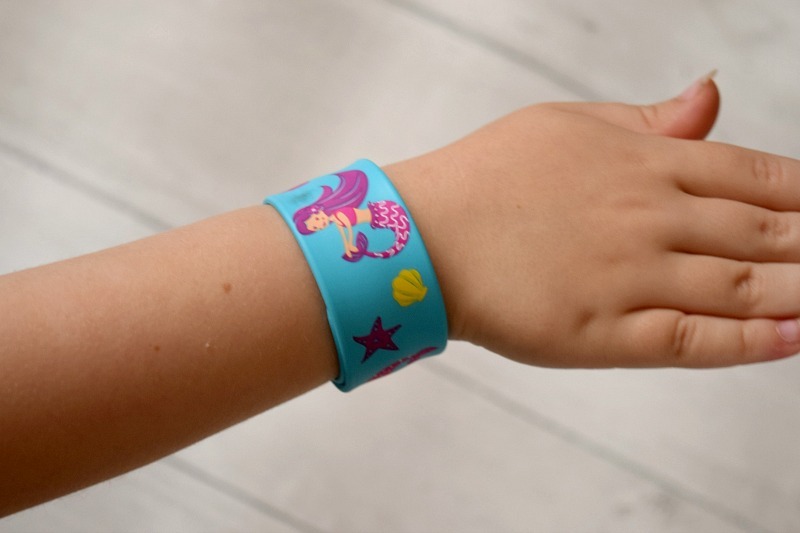 Both of my kids love snap bands and will play with them over and over again until they no longer straighten! This one actually has all the times tables on the reverse side which is a great idea. I remember having a huge poster on my wardrobe door as a child, a cool snap band would have been much more fun! There is so much choice to suit kids of all ages (and adults) as well as great gift ideas. We love Smiggle. You can find lots of items to suit your back to school needs in store or online at www.smiggle.co.uk and you can get 20% off when you sign up to their newsletter online.